Since I posted my last UFC Rankings in August there have been only 2 UFC events, and 21 fights (including 1 title fight). 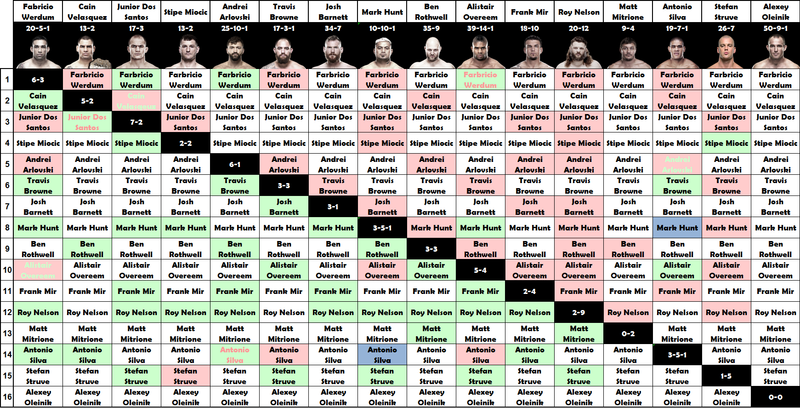 In the past month we’ve seen one of the greatest of all time Demetrious Johnson continue his reign of dominance by picking up his 7th title defense in a row against John Dodson. We also saw a fantastic heavyweight clash between Josh Barnett and Roy Nelson in Japan, not to mention one of the biggest upsets of the year by Uriah Hall. This has been one of the best summers in the history of the UFC so it’s understandable that September didn’t have as much action, but there have been some moves in the rankings so let’s get right to it. 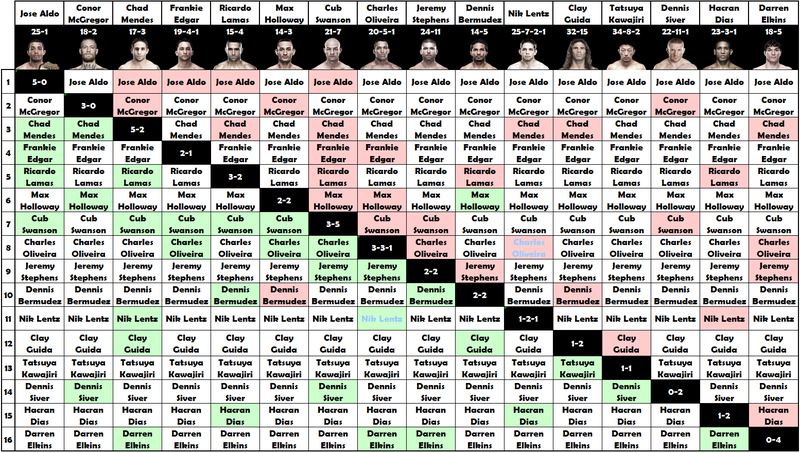 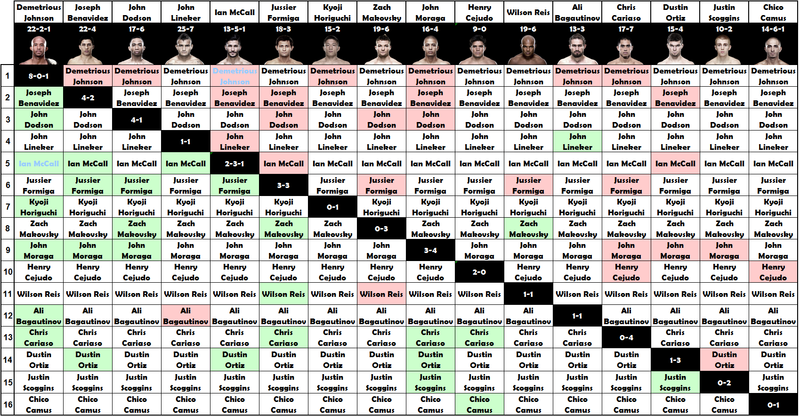 * I included the fights from the 20th Season of the The Ultimate Fighter even though they were technically “Exhibition” matches because they were part of the tournament that crowned the inaugural champ. 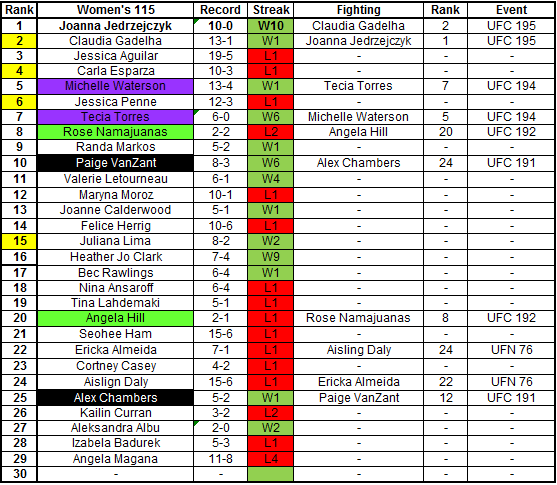 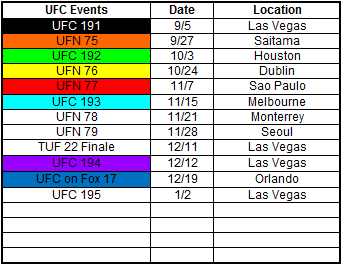 The fighters TUF records are in parentheses next to their MMA Records. 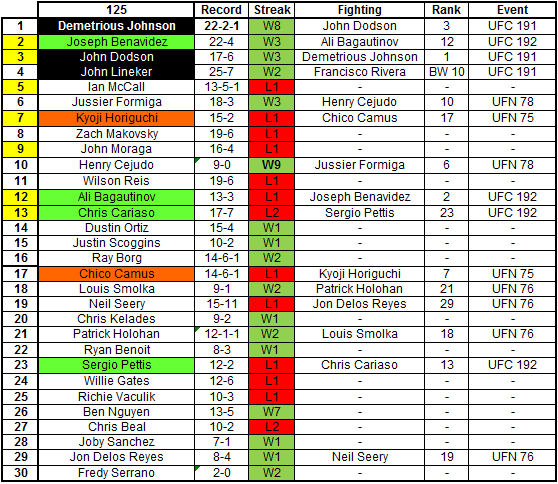 * Even though #1 Jon Jones is technically not the champion anymore, I still have him ranked as #1 since he was stripped of the title and didn’t actually lose the belt to another fighter. 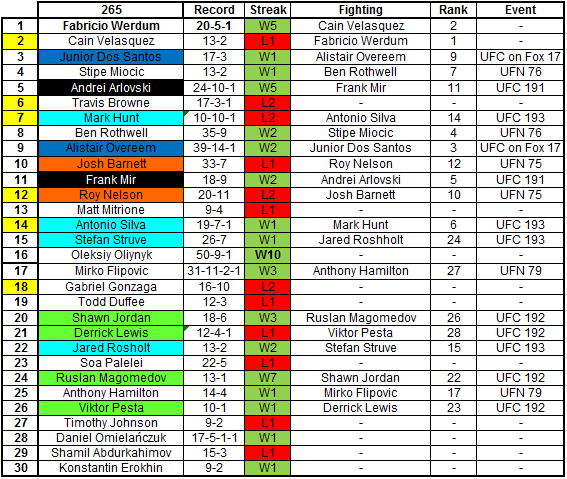 These rankings feature the fighter’s record, winning (or losing) streak, who they are scheduled to fight, and when they are going to fight. 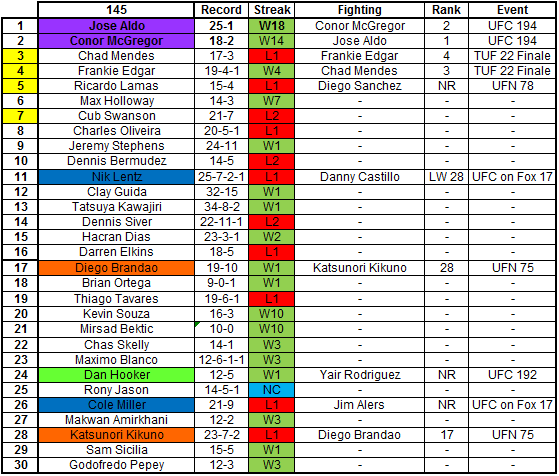 Champions are in bold, and fighters which have lost to the champion have their ranking highlighted in yellow. 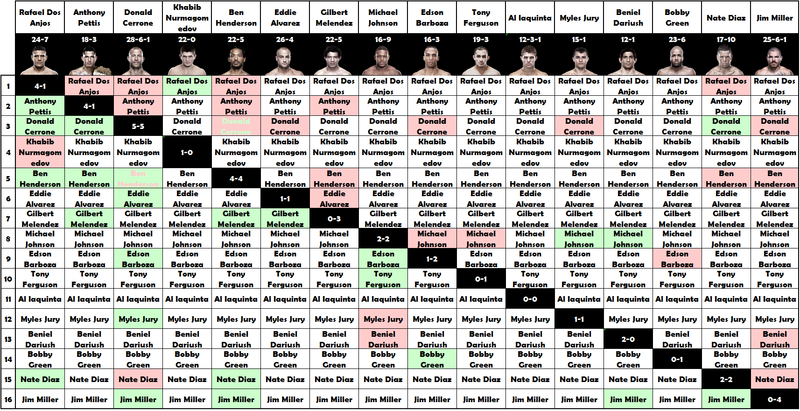 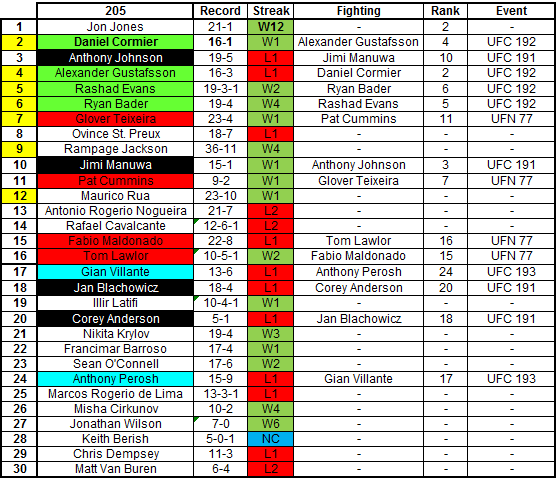 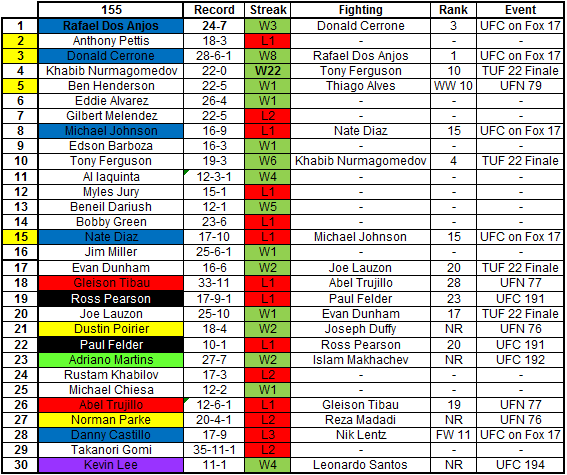 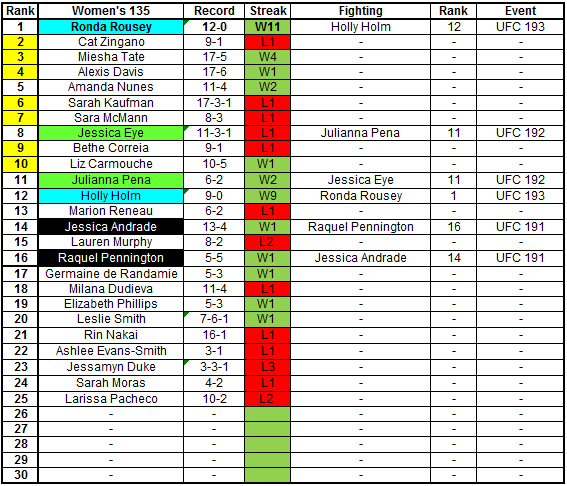 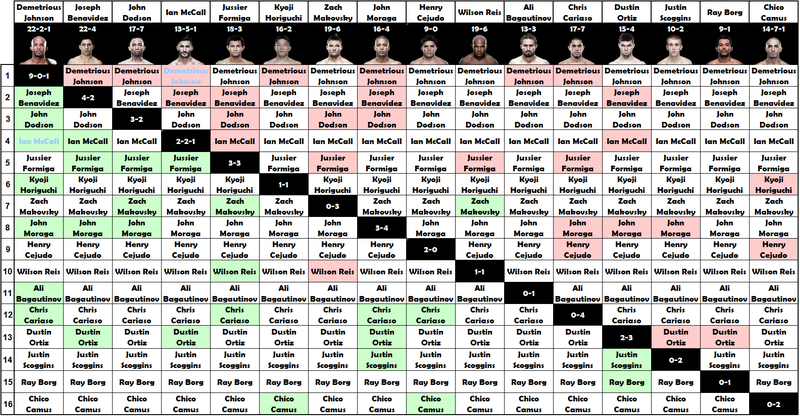 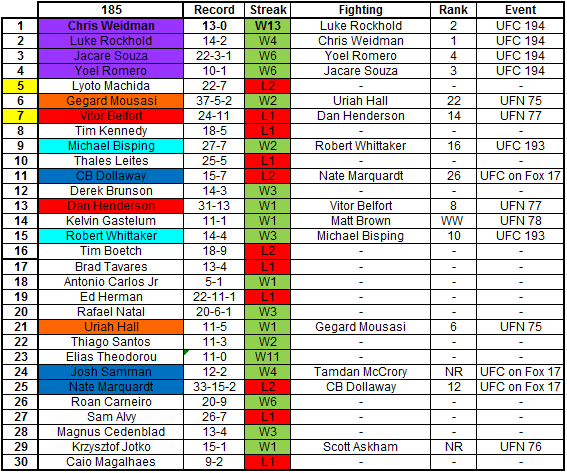 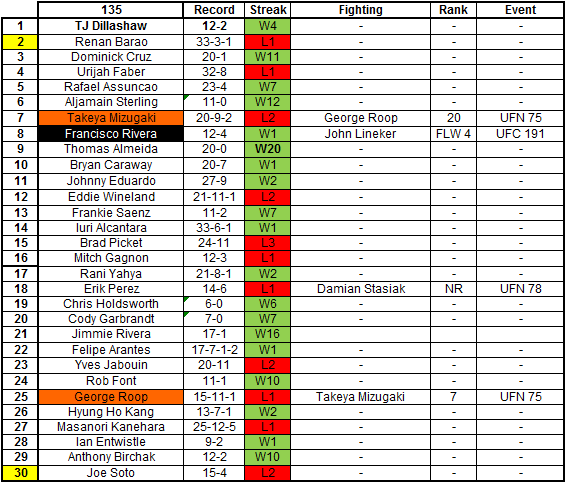 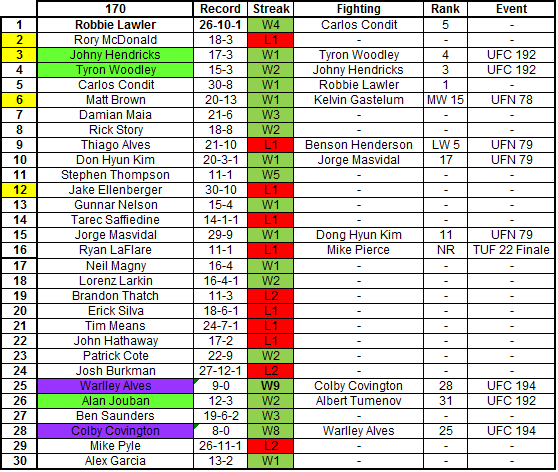 Since I posted my last UFC Rankings in July there have been 4 UFC events, and 50 fights (including 2 title fights). In the past month we’ve seen TJ Dillashaw prove that he is not only the best 135lbs fighter in the world, but also one of the pound for pound greatest strikers in MMA history, and we’ve seen Ronda Rousey become an even bigger star, adding a one punch KO to her highlight reel. It’s hard to top last month but nevertheless there have been a lot of big fights and some big moves in the rankings, so let’s get right to it.